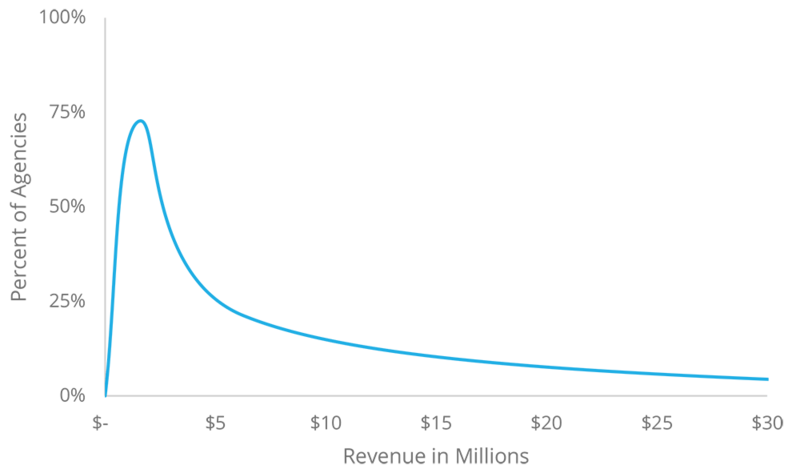 Our analysis puts the vast majority of digital marketing agencies in the U.S. at under $5M in annual revenue. In fact, 94% of the agencies bring in under $6.3M per year. 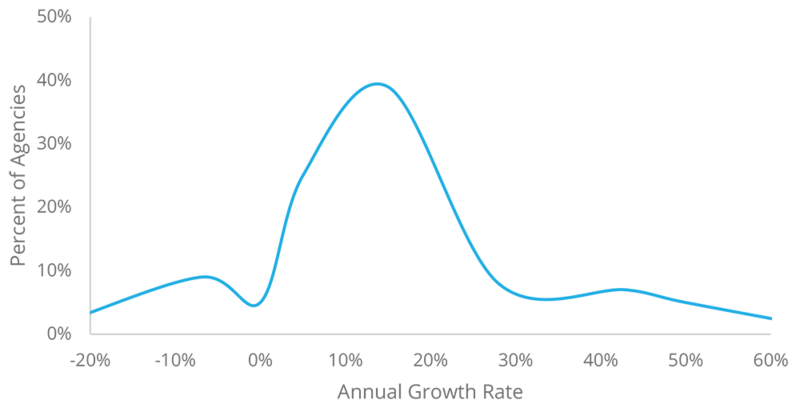 Most firms saw double-digit growth rates last year. This makes sense with the various expectations about the growth in digital spend by brands. Today’s marketing agencies are operating in a highly fragmented market. 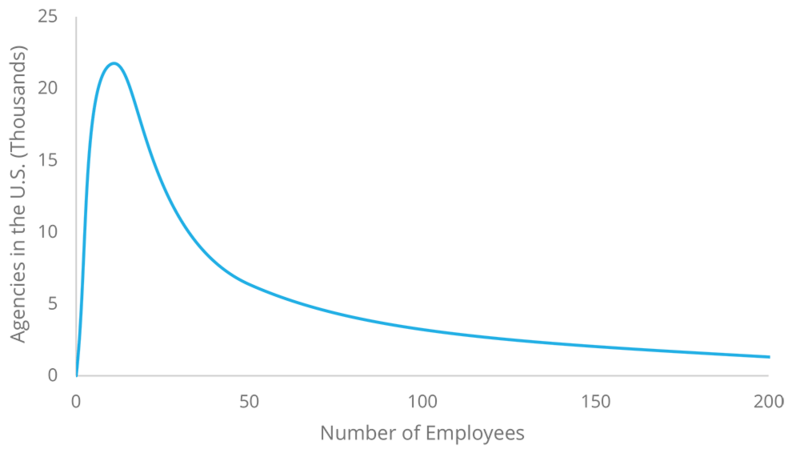 The average digital agency in the U.S. is comprised of just under 10 employees. 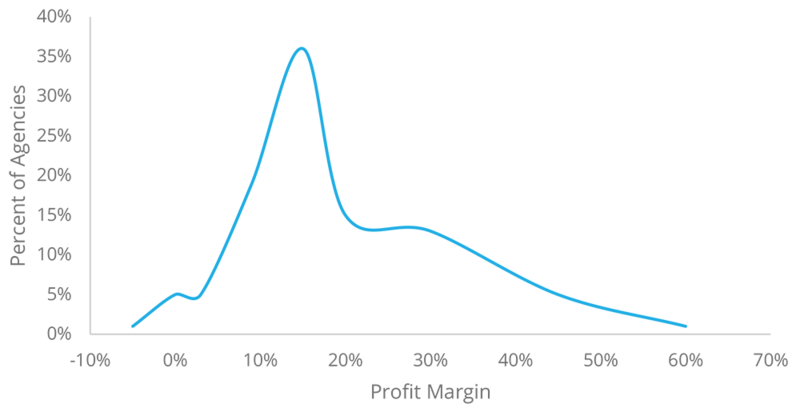 Most agencies report profit margins in the 10-20% range with the majority falling around 15%. This places digital agencies among the more profitable businesses in the U.S. 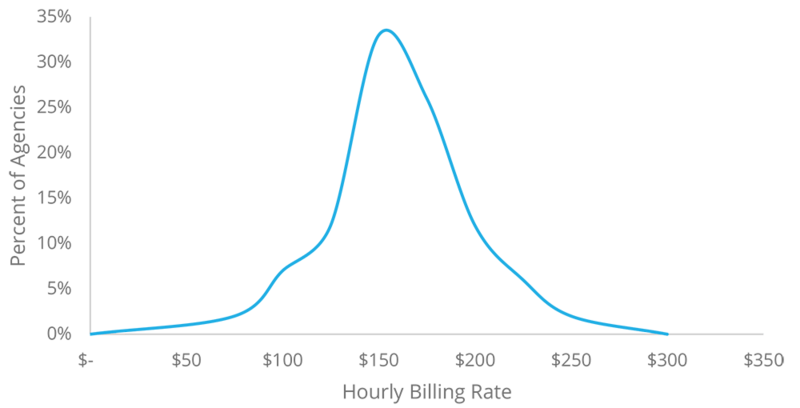 The typical agency bills between $125 and $200 per hour. Smaller, more specialized agencies, and large all-in-one outfits tend to bill at higher rates. 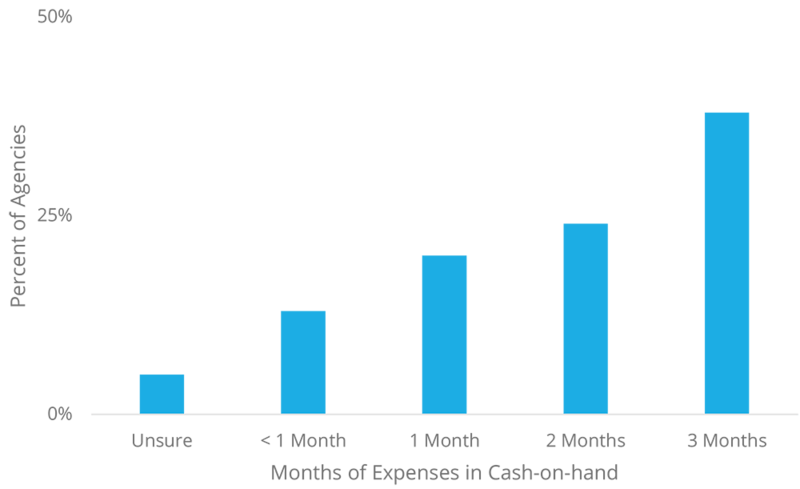 Over 1/3 of agencies report having cash reserves of greater than 3 month’s worth of expenses. Depending on your seasonality more or less may be required. 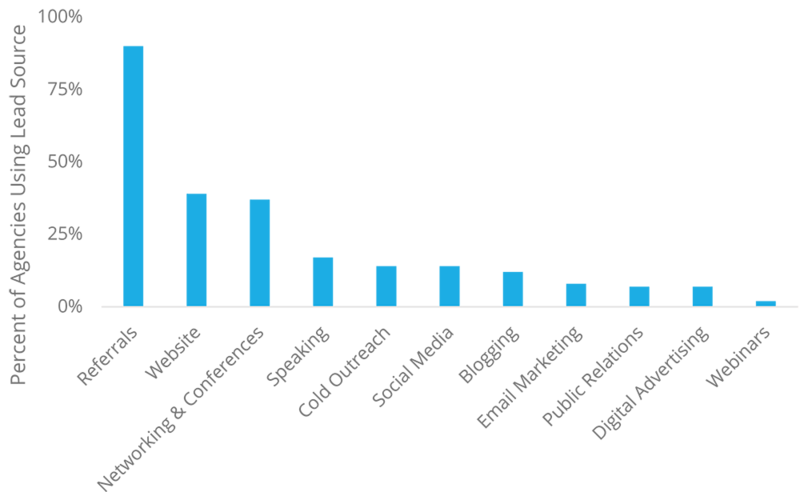 The main source of leads for digital agencies comes from client referrals. The second and third most common sources are agency websites and networking. 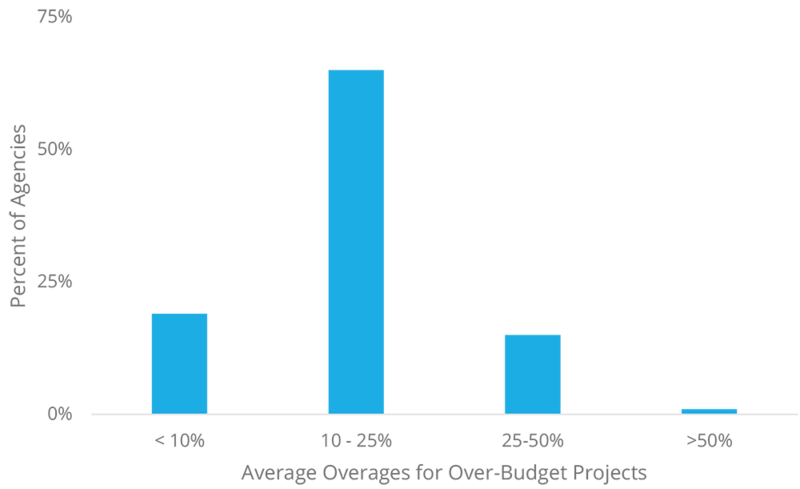 Of the projects that go over budget, the bulk of them exceed the original budget by 10-25%. 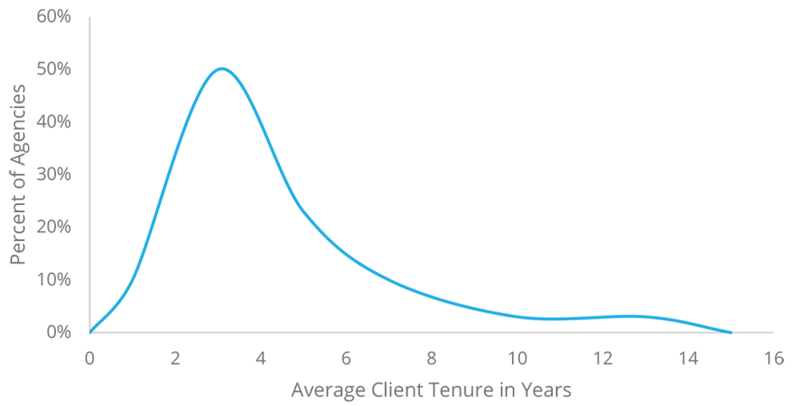 The majority of clients stay with an agency for 3 years. 6% of agencies report having client relationships average over 10 years.